Children International are an organization dedicated to ending global poverty one child at a time. 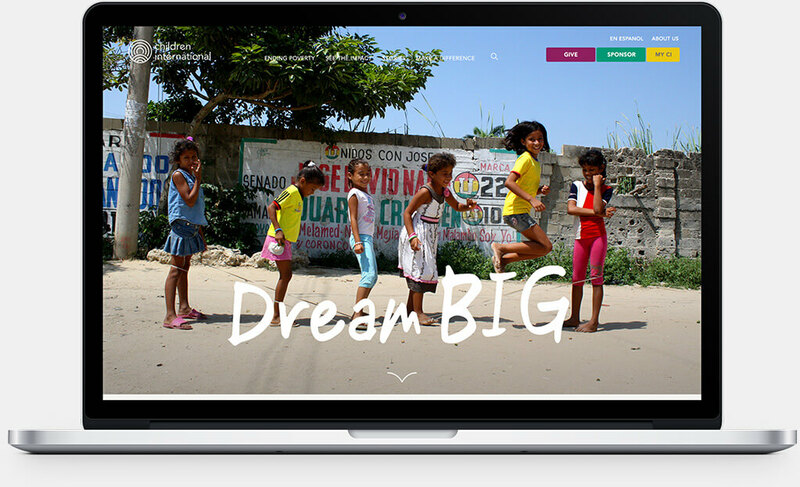 Together we created a robust website that focused on building relationships and connecting children with supporters who believe in the cause. 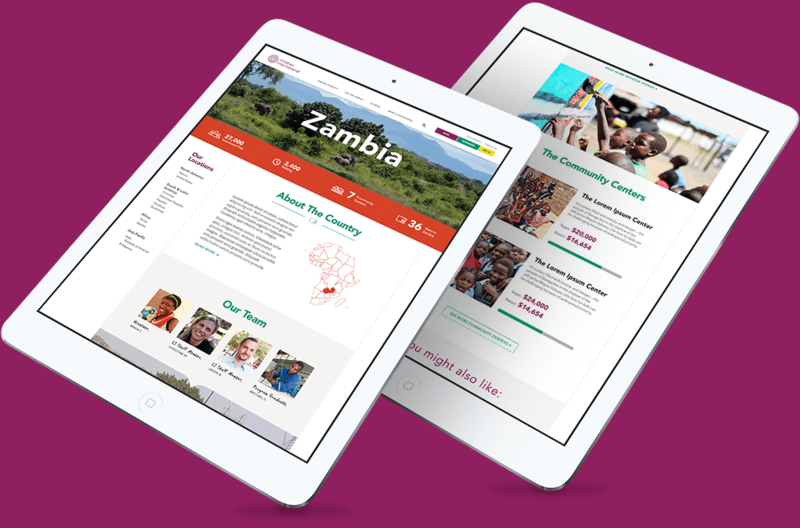 Our strategy was to transform the donation experience by combining the concept of organizational transparency (so supporters can see exactly how their donations are spent) with the power of storytelling. Using this strategy I kicked off the design phase with some potential visual directions in the form of digital sketches. Exploring animation and interaction allowed us to emphasise the storytelling aspect of the experience. 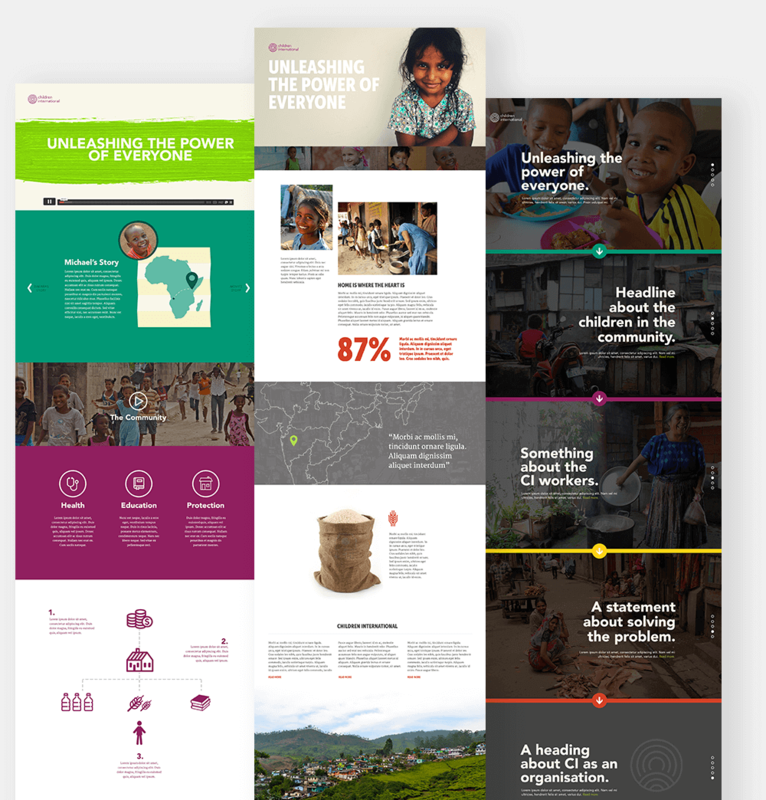 By using animation principles we were able to highlight key points and lead the user through Children International's compelling content. By creating a Brand OS that gathered together key visual, editorial and functional elements, we defined a look and feel for the site that upheld the CI brand guidelines.